Have a toddler that loves to run around with other children, play with parachutes, puppets, books and sing and clap along to fun, Jewish music? Then KIDdish is your program! Once a month we gather together with other young families and celebrate Shabbat in a fun, interactive and age appropriate manner followed by a delicious, vegetarian potluck. 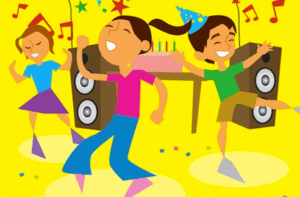 Our Next event is KIDdish Rosh Hashanah New Year’s Eve Party 5779! We will have an apple drop, candy bar and raucous dance and tumbling. Good fun for young children as we ring in the New Year! There’s more Family Programming during the High Holy Days! We’re not done yet! 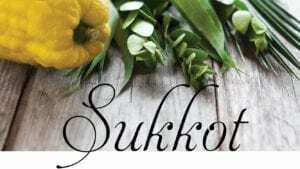 Don’t forget about Sukkot and Simcha Torah! Please join us for a family-friendly outdoor Sukkot Celebration followed by a musical Shabbat service! 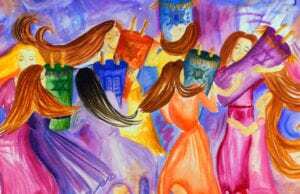 Worship, celebrate new consecrants and dance with the Torah!